My mom has been working in Liberia since July 10th, 2015. 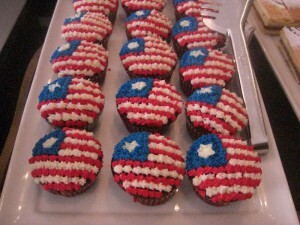 She found these cupcakes at a hotel in Monrovia, Liberia, on July 26th. That day is a special day for Liberians. 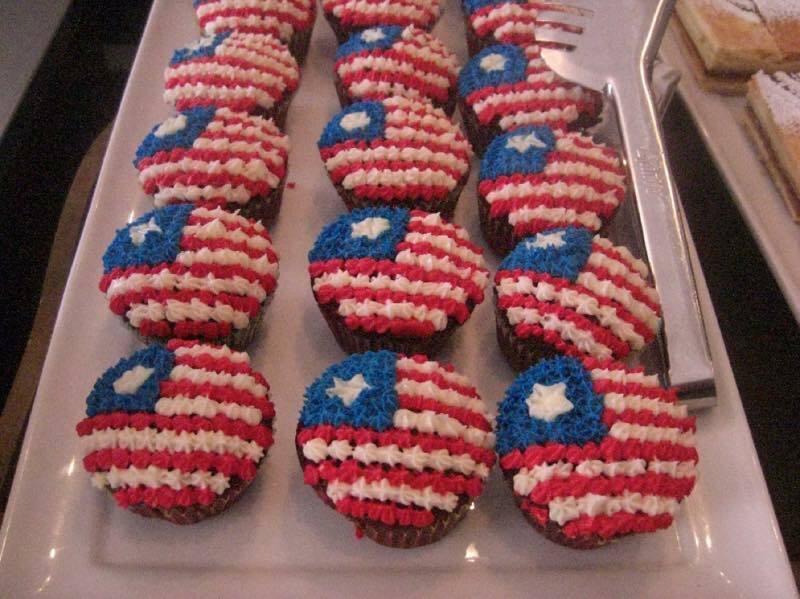 July 26th is their Independence Day! The country declared its independence in 1847. Unlike other African countries, which became independent in the mid or late 20th century, Liberia has been independent for 168 years! Liberia is the second oldest country in Africa. Do you know which is the oldest country in Africa? It is Ethiopia. Ethiopia has never been colonized, except for partial colonization of the nation by Italy only for 5 years from 1936 to 1941. Except for that period, Ethiopia has been independent throughout its history. My mom worked in Ethiopia in 2010-2011. Now she is working in Liberia. That means she has work experience in the top two oldest independent countries in Africa. Interesting!